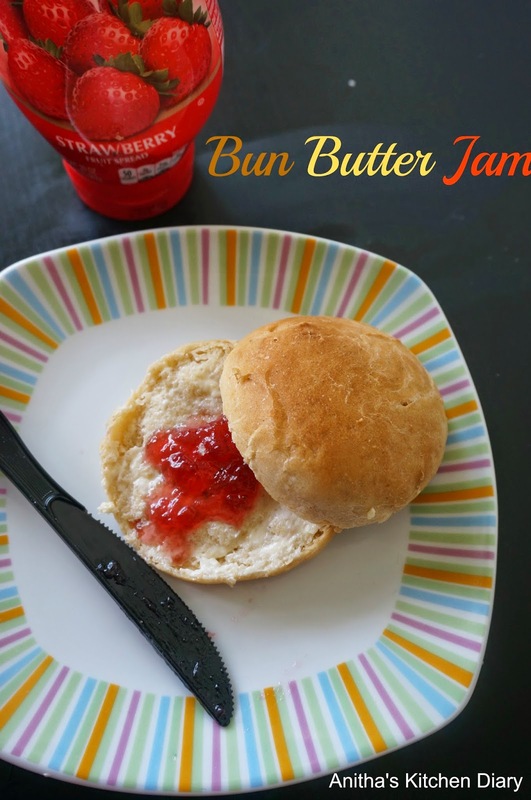 For the second day of "Childhood memories" for Friendship 5 series , my second most favorite Bun butter jam recipe. Whenever my grandma go for a fish market , she stop by bakery store to buy this bun butter jam for me to make me surprise after i return from school. 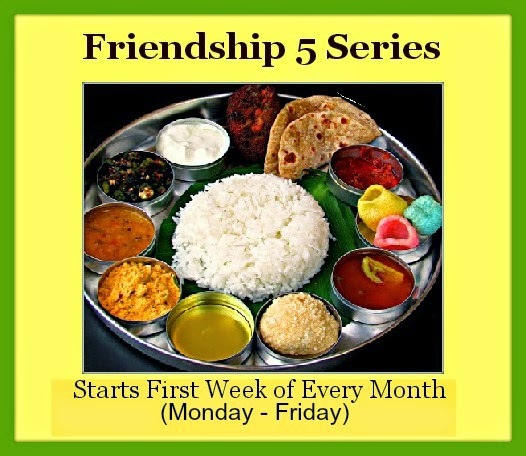 Really those days are fun filled days. You can change the filling and stuff what ever you like. In a wide bowl, take all ingredients except butter and knead for 10- 15 minutes. Add butter and knead to make a soft dough. The dough will be sticky. Cover it with cling wrap or kitchen towel and rest it for an hour to double in size. After hour pouch down the air and divide the dough into 5 -6 equal parts. Cover them and let them raise for 45 minutes. After that brush the top with milk and bake it at 350F for 20 -25 minutes. Cool them on wire rack. The buns are ready to make the bun butter jam. Enjoy your delicious Bun butter jam.